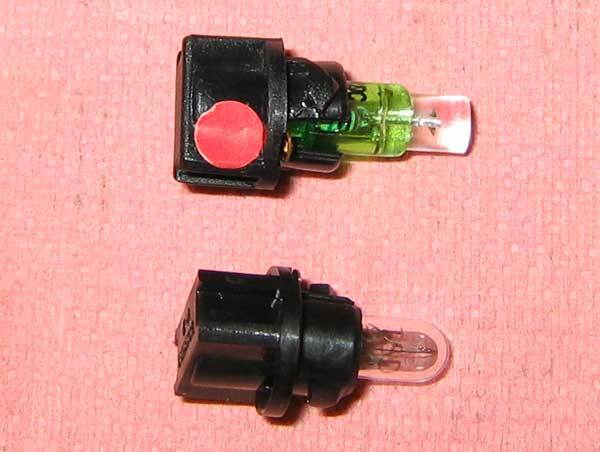 Instrument cluster bulb trivia: At 12.8V, the incandescent indicator bulbs consume 0.10A at 12.8V. The backlight bulbs consume 0.22A. The replacment LED bulbs for all of these positions consume 0.02A. After replacing 20 bulbs with LEDs, I decreased the cluster's lighting draw from 2.6A to 0.4A. The color is richer in all cases, and the brightness is the same or greater. 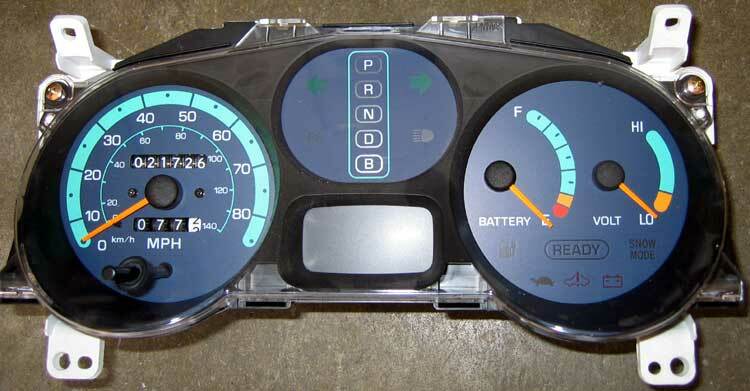 The instrument cluster was the latest victim of my never-ending pursuit to remove all incandescent bulbs from the Rav. There are LOTS of little incandescent bulbs behind this bugger! The good news is that it comes out somewhat easily. 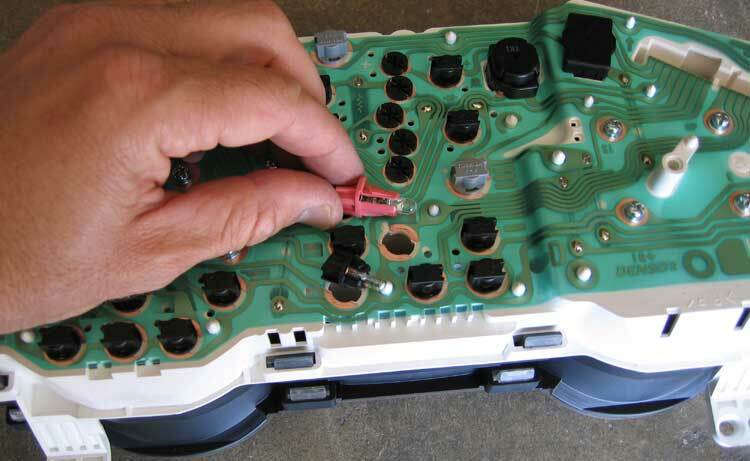 Just four screws hold it in, and the only other part that needs to be removed is the black plastic instrument bezel - and it is removed with just one screw. 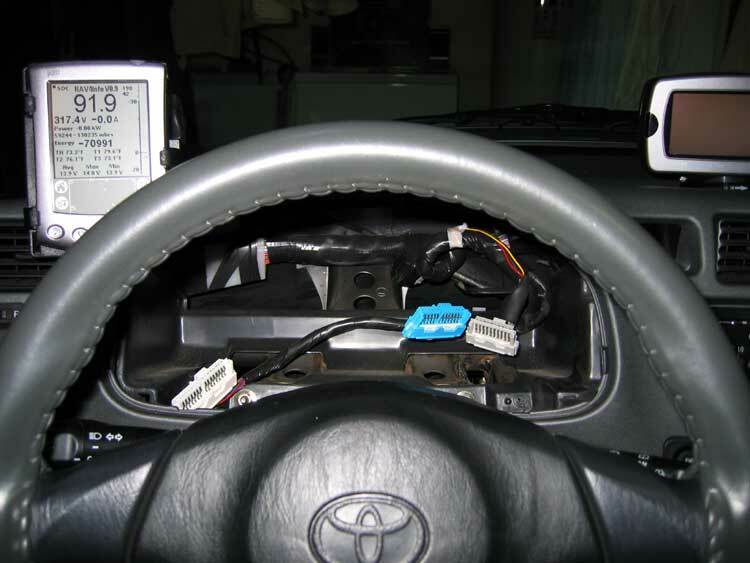 I was going to post this image by itself and tell everybody that the info provided by Rav4INFO and my GPS were sufficient, so I might as well save the weight of the instrument cluster. But I was afraid the humor would be lost, and I'd have to suffer the safety warnings. 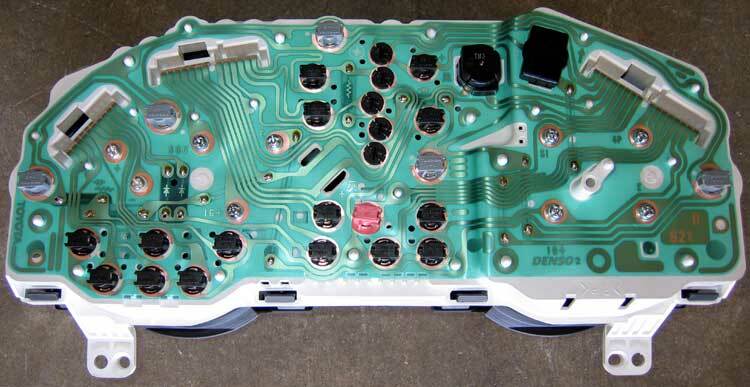 :) Those three wire harnesses need to be unclipped form the back of the cluster before removal, of course. Here's the back of the cluster. All those black, gray and red sockets are incandescent bulbs... except maybe for that one red one... This was taken before I touched anything. 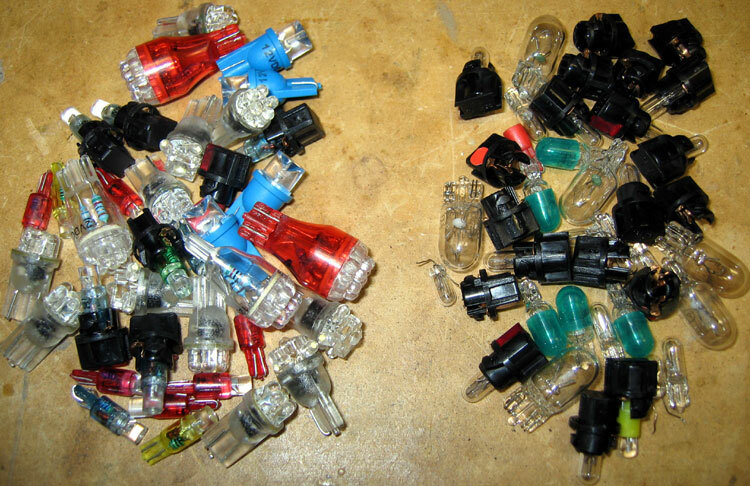 Sure enough, that red one turned out to be the only LED in the whole mess. It has a little circuit board with an IC chip, two resistors and a capacitor. It is the flashing seatbelt warning lamp, of all things. The neat part is that you can swap this LED unit for the door-open indicator to prevent battery run-down if/when a door is left open. This swap was the first order of business for me! The current draw for this LED assembly is about 1/5th of that for the incandescent bulbs. 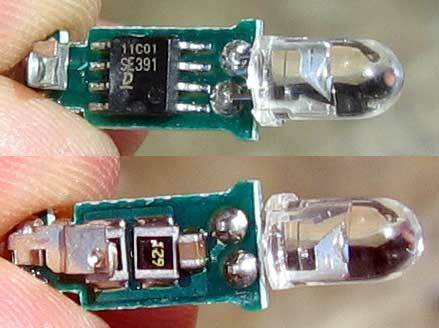 A close-up of the LED assembly removed from its socket - both sides shown. This assembly (including red plastic socket shown above) was Toyota Part Number: 83120-24010, I say "was" because it has been unavailable for quite some time. Retail price was $15.31. The standard incan bulb shown above in the black holder is PN 90981-11018, and cost is about $2. I finally found some suitable replacement LED assemblies. Some took a bit of customization, while others just slipped right in. Here is the new LED module next to the stock lamp. This image shows polarity for each lamp position. No polarity needed for incandescents, but it MUST be observed for the LEDs to function properly. I drew in the + signs on the traces, and the positive side of the bulb holders now have a dab of red paint - just in case somebody else wants to do this. 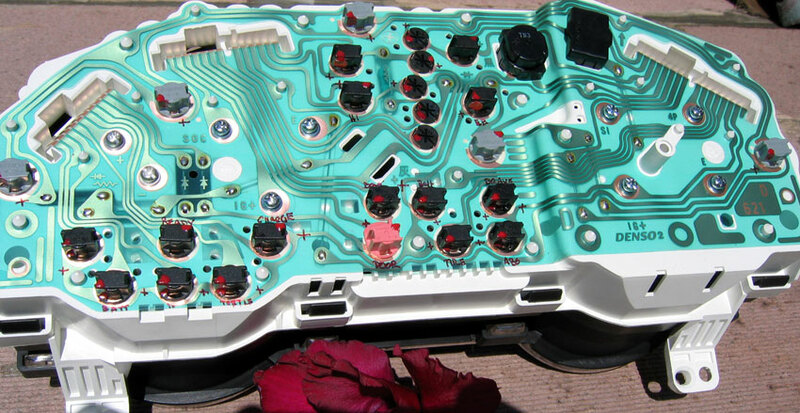 I replaced EVERY bulb in the cluster with LED except for the unused "snow mode" position, the "airbag" position. The other 24 (!) positions are now LED. The reason I left the airbag position as an incandescent is because that LED would glow dimly all the time for some reason. The shifter positions took the most effort. The holders are smaller than the others, and the LEDs had to be custom fit into each one. All factory colors remain the same (same-colored LEDs were chose for each of the positions - green, amber and red).